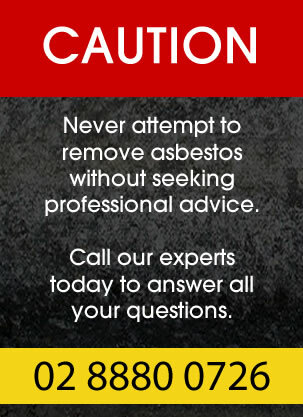 VIP Asbestos Removal Sydney offers experienced professional contractors that can complete a range of asbestos services. From inspection and testing to removal and disposal, we have the team to get the job done. We also offer site demolition for both residential homes and commercial or industrial properties. We service all of Greater Sydney including inner city CBD, Eastern suburbs, Western suburbs, North and South. When you contract our team you have the complete peace of mind knowing we are backed by years of experience and all the necessary license as required by the NSW Goverment. Your safety is always of paramount important. We ensure to engage every onsite safety protocol when dealing with asbestos removal projects. Upon inspection we will identify the locations that need removing and ensure that no deadly carcinogenic fibres are released. We will engage air monitoring throughout the process. and provide a clearance certificate once the site has been decontaminated. Every asbestos removal project we do comes with a 100% satisfaction guarantee. Every contractor at VIP Asbestos Removal Sydney ensures struct compliance witht he New South Wales Government guidelines on handling and removing asbestos. There are actually six different minerals called asbestos, but they all have many of the same properties. They form naturally into fibrous crystals which can be worked and integrated with various building materials. When mixed with concrete, asbestos fibres add strength and resistance to heat, fire, and even electrical or chemical damage. This new asbestos material was first used as a building material in the late 1800s, and was prized for its ability to insulate against both heat and sound, yet remain non-combustible. Not until the beginning of the 20th century was it really understood how hazardous asbestos minerals were, and they were still used in construction even into the 1980s and 90s. It was not fully outlawed in Australia until 2003! The danger of asbestos is that the crystal fibres can form an extremely fine dust, which, if disturbed, can be easily inhaled. These fibres may never leave the lungs, and can cause diseases like asbestosis or mesothelioma, and even certain kinds of cancer. Worse still, the diseases may arise years or even decades after the exposure occurred. Is the asbestos in my home or workplace a threat? Typically, dangerous exposure only occurs when the asbestos is disturbed – when anything happens to it that could produce dust or distribute any dust already present. The most important thing to remember to limit your risk is not to try to remove the asbestos yourself – that is perhaps the most dangerous thing you could do! Leave it to a professional asbestos removalist company. Unless your building was constructed after 2003, the only way to be completely certain that it does not contain any asbestos-containing materials is to have the building tested. Samples from your building will be taken and examined using both a stereo microscope and PLM, or polarising Light Microscope, to determine whether asbestos crystal fibres are present, and which type of asbestos it might be. Because asbestos dust can so easily be inhaled, removing the material from a structure can be dangerous. We ensure that as little dust as possible is initially created, and use every approved method to ensure that any dust or fibres are collected and disposed of. We maintain a full air quality monitoring programme at every site in which we operate, to ensure that no fibres are released into your home or place of business. Just as important as the safe removal of asbestos-containing materials is making certain that they are ultimately disposed of in a safe manner. We make sure that any hazardous material is properly sealed and transported to an approved disposal facility by trained professional materials handlers. All disposal of asbestos is done in compliance with AS 1319 and all other applicable health and safety standards. Demolishing a structure known or suspected of containing any asbestos can be a very tricky process. The key is preventing any existing asbestos crystal dust from being released into the environment, and generating as little new dust as possible when the building is taken down. We are fully licensed to demolish these buildings, and have the equipment needed to do so safely. We have ten years of experience, plus we are fully licensed and insured. Asbestos removal has the potential to be an expensive, dangerous undertaking. You need to know you are working with experienced professionals. We offer both removal and demolition services. Whether you need an old asbestos shed or garage taking down, or you just need the asbestos insulation cleared from an otherwise serviceable building, we know exactly how to take care of it. Remember, a job that isn’t done right isn’t done at all. Get in touch with VIP Asbestos Removal Sydney to get your job completed right by one of the most trusted names in the industry. We can arrange an onsite asbestos inspection to identify all areas that are at risk and provide fast test results. We will then provide a written quote and removal plan. To have all your questions answered or to request a competitive asbestos quote call us or fill in your details into our quick quote form.